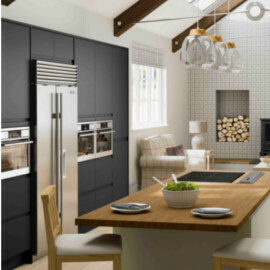 Showcasing the best of British design Marlow features an integrated handle which offers sleek lines to any space. 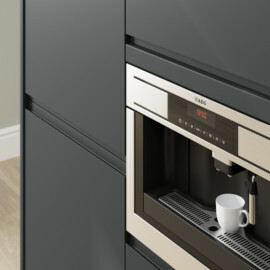 Marlow is perfect for use in open plan living kitchen spaces as the design effortlessly flows from one space to the next. 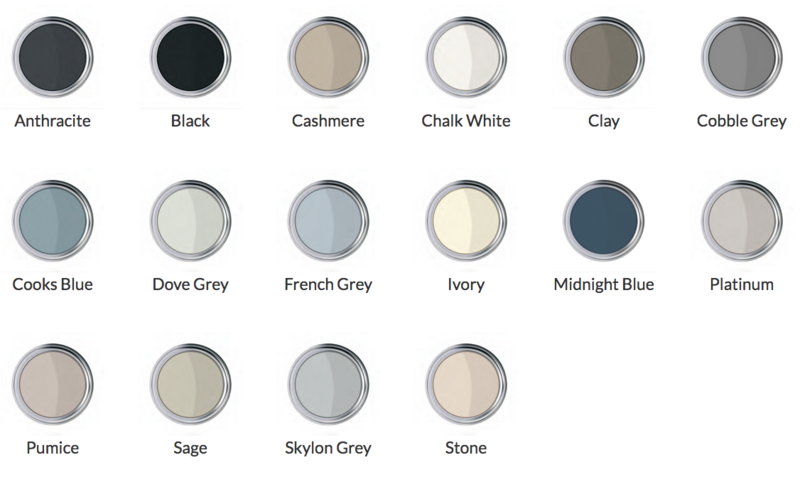 Shown here in Anthracite and Platinum, Marlow is available in 17 hand painted shades, as well as 3 gloss finishes to give you a choice of style. 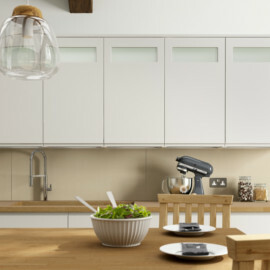 This handleless kitchen is one of the exclusive ranges from the Laura Ashley Kitchen Collection. Recreate the look: Based on Laura Ashley’s City Dwelling theme with a touch of Skandi style, this is best suited to contemporary open plan houses with lots of modern features. Use glass and white crockery in simple contemporary shapes and use lots of open shelving to display all your cook books and those must have gadgets!